Durston Rolling Mills manufactured its first rolling mill in 1961. The company moved to larger premises in 1995. 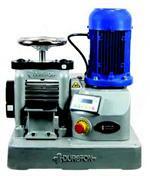 Durston Rolling Mills is the foremost manufacturer of rolling mills throughout the world. They are recognised for their reliability, robust construction, high quality and fine finish. The company philosophy has been one of continual product improvement, along with a strong investment programme in the state of the art machinery and manufacturing techniques. 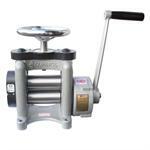 All components used in the products are made “in house,” thus ensuring strict quality control.